Traditionally, there have been few technology startups in the logistics sector, which relies heavily on capital-intensive assets like ships, trucks, and airplanes. Technological innovations, however, are dramatically shaping global business and the transport and logistics industry should not be left behind. Recent statistics show record levels of investment in logistics-focused technology startups during 2016, which implies a heightened demand for the freight forwarding segment to modernize. “It is time to bring the mindset and technology we use to manage logistics processes into the 21st century. There is growing pressure for supply chains to be better, faster, and more connected, which has resulted in more technology startups focused on solving logistics-related problems. We see huge potential in the space — over $19 trillion dollars of goods are shipped around the world annually and the forwarding market alone is worth $160 billion dollars a year. By adopting operational innovations we could reduce scheduling and fuel-consumption inefficiencies and boost profit margins with eco-friendly supply chain management,” predicts Agne Beseniene, logistics market expert at AsstrA Forwarding AG. Since 2014, venture capital firms have invested over $1 billion in startups in the freight-forwarding space, twice the amount invested in the preceding five years, according to research company Pitchbook Data. It is a large sum for a sector that has not always been popular among investors. In 2016, amounts invested in transport startups rose around 15%. A survey made earlier this year shows that 86% of logistics decision-makers see technology as the best way to drive efficiency and reduce costs. Although executives recognize that the core elements of freight transport have yet to change, technology and big data are increasingly seen as key mechanisms to improve efficiency. Automation, “appification” and big data are increasingly important factors in global supply chains, and startups capitalizing on the associated opportunities are attracting increased investor interest, suggests Agne Beseniene. Today’s major global freight forwarding players will face significant market share losses unless they adopt new technologies. “In the Internet age, moving cargo shipments is not an easy task. Freight forwarders play a key role in global trade, with deliveries made via trains, planes, ships and trucks. The industry, however, often relies on outdated technology like telephones or emailed spreadsheets. Operational processes, pricing platforms, and cargo tracking systems could all be modernized to fulfill customers’ expectations faster and cheaper. At AsstrA, we experience the changing logistics landscape firsthand — and now embrace it by investing in smart technologies and supporting young entrepreneurs,” continues Agne Beseniene. In Lithuania, an international entrepreneurship incentive project called Futurepreneurs has recently been launched. 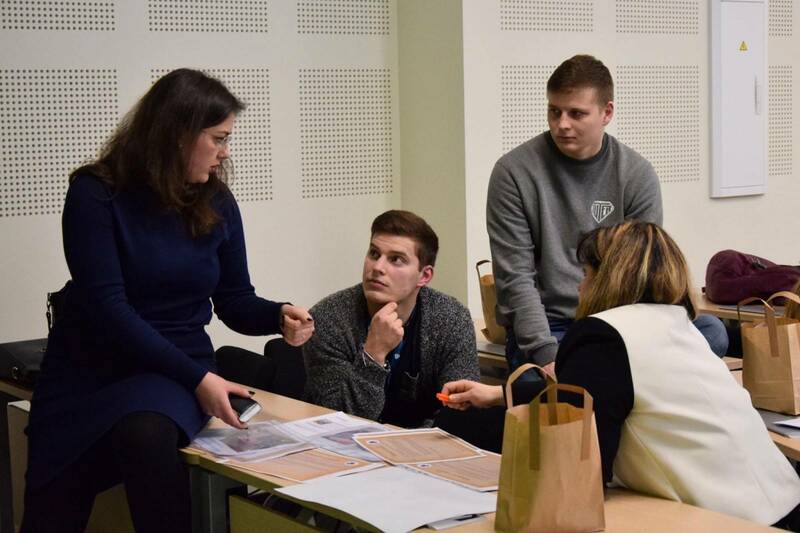 More than 600 applicants expressed their interest in joining this pre-accelerator organized by the Sunrise Valley Science and Technology Park (Saulėtekio slėnio mokslo ir technologijų parkas) and the European Union’s Erasmus+ program. Futurepreneurs’ patron is the Minister of Economy of the Republic of Lithuania, Mindaugas Sinkevičius. Futurepreneurs will help young people generate business ideas in promising or novel fields such as fintech, information technology, defense, security, and logistics. Accordingly, AsstrA is supporting the Transport and Logistics component of Futurepreneurs. For the next 3 months, the AsstrA team will mentor young entrepreneurs as they plan sustainable businesses. On the 3rd of May, all startup teams will pitch their business ideas to competent judges and investors. The best startup in the Transport and Logistics sector will receive an investment for business development and, as a special prize from AsstrA’s Vilnius office, an invitation to join a 2-day international training for mid-senior level transport managers called “Tobacco and Drinks Logistics 2017,” to be held in Vilnius later in the year. “At AsstrA, we believe that sustainability plays a key role in the future of the transport business. All the technology we need to modernize the logistics industry — from hardware to software — is already there. Somebody just needs to find a way to combine it. Now it is time for creative minds to create sustainable, innovative solutions to existing logistics problems. We believe that joining business with science is the best and fastest way to bring about a technological revolution in the supply chain industry. Who knows, maybe the next Elon Musk will be discovered during Futurepreneurs? Brave ideas are a recipe for great changes. Our job is to put those ideas into action,” says Beseniene, who is a Futurepreneurs mentor for Transport and Logistics businesses. AsstrA’s advice for young entrepreneurs is to seek solutions for transport companies that optimize fuel consumption and reduce expenses related to repair and maintenance. “Transport and logistics companies have faced the same dilemma for many years — how to improve their bottom line by lowering fuel consumption. Poor fuel economy can be caused by many factors such as an old fleet, a lack of maintenance scheduling, or cheap spare parts. The problem could be solved with a number of approaches, including new equipment, fuel theft deterrents, fuel additives for long rides, or more fuel-efficient spare parts,” says Agne Beseniene. Also, one of the biggest challenges affecting service quality and customer satisfaction in logistics is technical trouble with vehicles. In a survey by Penn State Professor C. John Langley, 75% of shippers said that the logistics industry could benefit from better technology, and only 40% said logistics companies were using technology in the price quote process. Eye for Transport recently published survey results on the biggest challenges for logistic providers in 2016. According to shippers, “innovation, new ideas and solutions” is the single largest area where providers fall short. Forrester Research predicts 10% year-on-year growth for online retail in Europe and the US. Online growth in Asia is even faster, with the online retail market in China projected to be equal to that of France, Germany, Japan, the UK, and the US combined by 2020. This growth directly affects demand for logistics labor, as online retail typically requires more labor per item sold than traditional brick-and-mortar retail. About AsstrA: AsstrA has been a reliable Partner on the logistics and transportation services market for over 20 years. We offer comprehensive services related to international shipping via all modes of transport, import and export support, consolidation, customs clearance, and cargo insurance. Our highly qualified staff identify the best logistics solutions for each Client based on their individual needs. With a wide network of offices and professional subcontractors, we are always near you and your Partners.